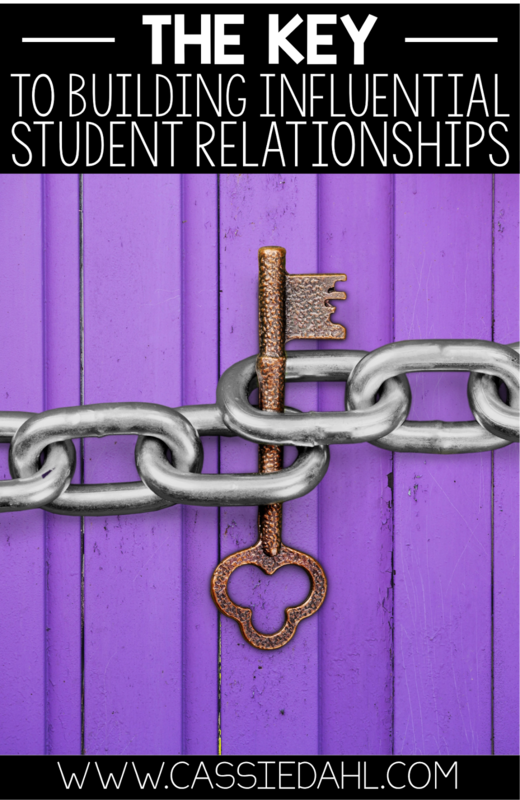 Building relationships with students can be tricky. It is a very delicate balance of trust and friendship as well as mentorship. 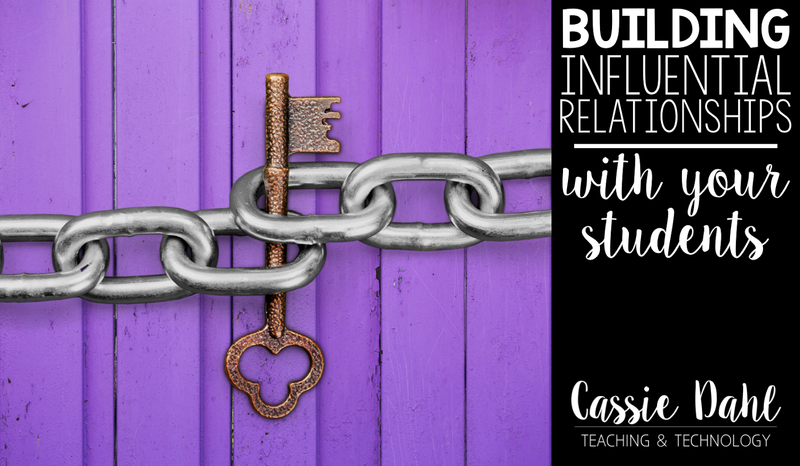 There are a few elements to building influential relationships with your students. Keep on reading to find out the six keys to fostering strong connections in your classroom. Tell about your personal life. Don't spend hours and hours spilling the beans about everything there is to know about you, but it is important for students to get to know you. 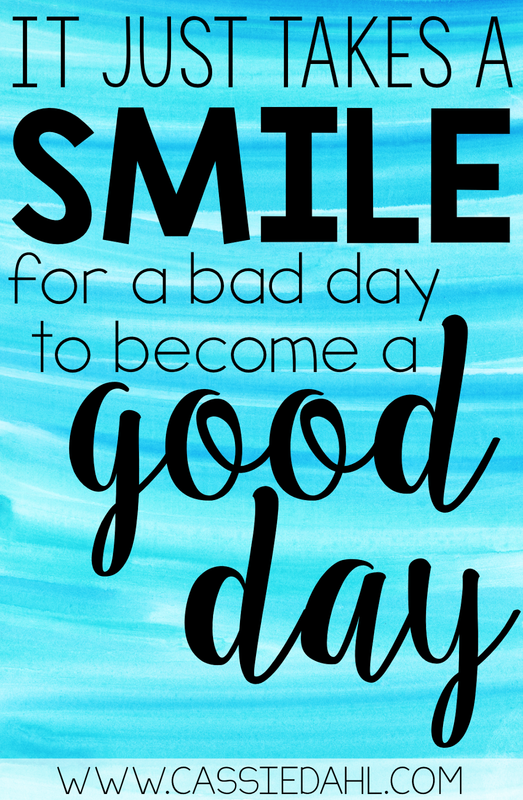 You can do this in a few different ways. If you hold a morning meeting with your students, make sure you include a time for sharing. In the past I have had students sign-up for sharing and then when we had time we would have a few kids share. Sometimes we would have time for one share or sometimes we would have time for three or four. 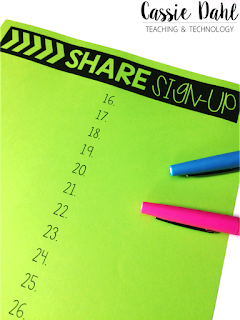 Make sure you include yourself on this list so that you can share about you! Want the sign-up sheet? It is a freebie for you! Click here to download. You can also share bits and pieces about you by adding a little story here or there in your lessons. Think about making text to self connections aloud while you are reading. Start the lesson off with a back story. Even sharing a picture here or there will help your students realize that you do indeed have a life and they might actually be able to relate to you! Pay attention to their world. Find out what they are interested in, figure out their "slang", show interest in some of their TV shows or movies. Just being aware of their lives outside of school show them that you care. It might put you out of your comfort zone, but that is okay. If you have students that are performing in a play or musical or on a sports team, try to make it to their events. You won't make it to all of the different happenings, but making it to a few of them throughout the year will make those kids feel like you are on their side and cheering them on because after all- aren't we?! Be patient. This is one of the hardest parts about building student relationships. Many teachers want to be immediate friends with students. That is not the best for the teacher or the students. Strong relationships take time to build- they do not happen on the first day of school! A little each day will create a stronger relationship than if you try to force it at the very beginning. Show your students that you believe in them. Try avoiding using negative language. Students will feed off of positive vibes. Words of encouragement and reinforcement will go a lot farther than criticism or negativity. Have high expectations for your students. If you expect them to only achieve a "barely passing grade", that is exactly what they will do. By having high expectations, students will feel more successful and they will start to believe in themselves. 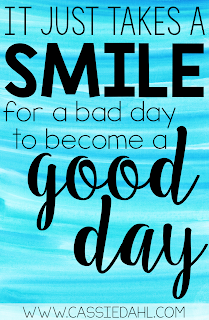 Start each day with a smile on your face. We all have bad mornings. Think about the home lives of some of your students. Some of them have to wake themselves up to make it to the bus on time. Others might have to help get siblings ready in the morning. They all face different challenges that we might not even be fully aware of. When your students enter your classroom YOU have to them feel welcome, safe and secure. Start the beginning of the year with the idea that your classroom is more than just kids sitting in chairs. Your classroom is more than just lesson plans and activities. Your classroom is a community. Your classroom is a place for students to feel safe. Your classroom is THEIR classroom. I start each year by doing some fun team building activities. We do a lot of group work throughout the year so I like to build this idea of a classroom community from the very beginning. We support each other through thick and thin. 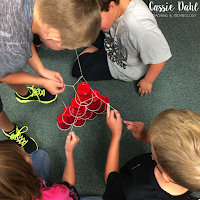 You can read more about building teamwork in your classroom here. 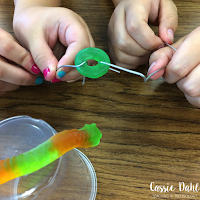 The blog post has activities and picture book recommendations perfect for the beginning of the year. So there you have it. 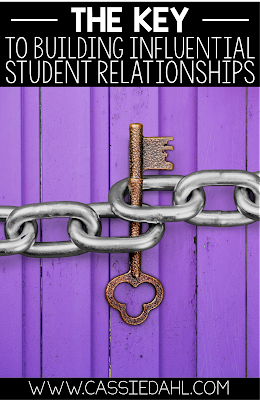 The six keys to building influential student relationships. Remember, you are a role model to your students! What do you do to build strong relationships with your students?